For those of you visiting with very little or no knowledge of Cammy, this is a little guide to help you get started on your path to becoming a diehard Cammy fan like the rest of us! Cammy's a very complicated character, and she's done so much, so I understand that trying to jump in and learn about her can be quite intimidating. This short 5 minute lesson should prepare you for everything else you'll learn and experience on CammyFan.com and beyond. Cammy is a character owned by the Japanese video game maker Capcom. She first appeared in the Street Fighter series in 1993, but has moved on to many other games, comics, cartoons, novels, toys, and other things since then. Cammy quickly became one of the most loved characters among fans because she really is something extra-special! 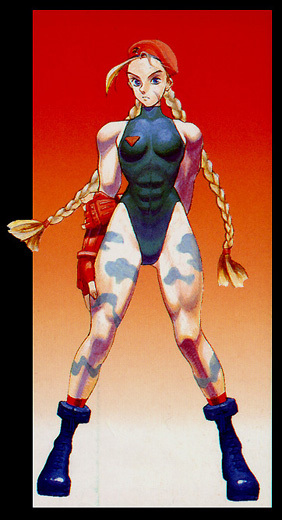 Cammy is known for being a great fighter whose trademark moves include the Cannon Spike, Cannon Drill, Frankensteiner, Hooligan Roll, Spin Drive Smasher, and Killer Bee Assault, but she's probably most famous for her beautiful long, blonde pigtails. Another interesting characteristic of Cammy's, and one of her biggest mysteries, is the big scar on her left cheek. Cammy's also known for painting her legs with different designs (camouflage, etc.). But Cammy's not just interesting on the outside, she's got a few different personalities, and an absolutely amazing storyline that's 2nd to none! This is Cammy from the Street Fighter Zero (aka Street Fighter Alpha) series, and off-shoot games like X-Men vs Street Fighter, Capcom vs SNK, etc. She's only 16 years old, and very cute, but don't let her looks fool you... nicknamed the "Killer Bee", she's the personal bodyguard, assassin, and spy of Vega (aka M. Bison), the leader of the powerful crime syndicate and terrorist organization called "Shadowloo". As a young girl, Cammy was kidnapped by Shadowloo. Aside from the fact that she's English, the details of her past and her abduction are still shrouded in mystery. Shadowloo used her as a guinea pig in their super soldier experiments, subjecting her to all sorts of tortures. However, it worked! The mad scientists of Shadowloo modified her DNA, giving her super-human strength, speed, healing, agility, etc. (click to enlarge) Once that was done, they brainwashed her, trained her, and turned her into what they thought was perfect soldier. (note: this technique was also used on 12 other kidnapped girls known as the "Shadowloo Dolls") Vega was so impressed with Cammy's skill and loyalty that she earned a spot at his side as his most trusted servant. One day, Colonel Wolfman of MI6, found Cammy unconscious on the steps of the English Secret Service's Training Center. He took her in, but it was soon discovered that she was an amnesiac. Cammy never did remember how she got there, but she did have excellent fighting instincts, so Colonel Wolfman arranged to have begin training. 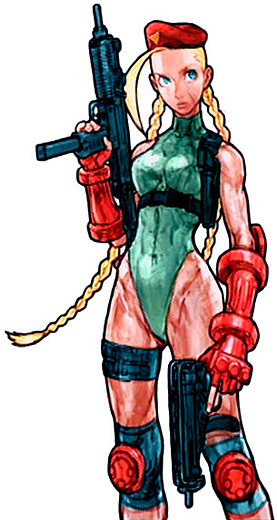 After 3 years, at the age 19, Cammy earned a spot on Colonel Wolfman's anti-terrorist assault team, Delta Red. Delta Red Cammy isn't evil like Shadowloo Cammy, but she is a mental wreck. She tries to be normal, but nagging doubts about who she is often leave her in a foul mood. 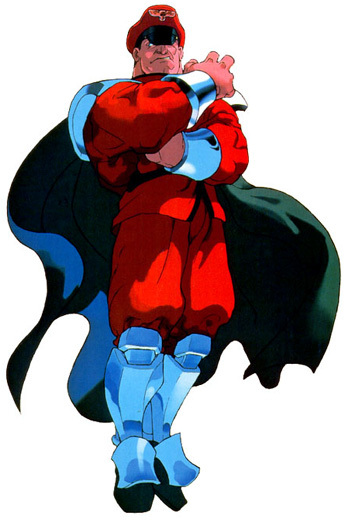 Delta Red Cammy is known to be extremely moody. At times, she's just an irresponsible teenage girl who oversleeps, loves cats, likes to shop, but at other times she's a top-notch secret service agent. Although she's exceedingly confident in her fighting skills, she lacks confidence and experience other areas. Nevertheless, Delta Red Cammy really values the opportunity she's been given by Colonel Wolfman, so she gives it her all. 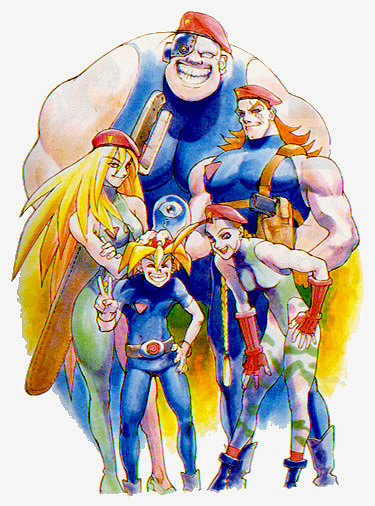 (click to enlarge) Shortly after becoming a member of Delta Red, Cammy and her teammates where assigned to take down Shadowloo. Throughout the mission, small bits and pieces of Cammy's memory begin to reemerge, but all she really figures out is that Vega, the leader of Shadowloo, set her up and tried to have her killed. Cammy eventually catches Vega and demands an explanation, but he tells her that it was all an accident. Moreover, he tells Cammy that they were once in love! Cammy's stunned at this revelation, but doesn't quite believe that she could ever love an evil man like Vega. At that moment, Cammy realizes that it doesn't matter who she was because she's happy with who she is now. Cammy vowed to stop looking back for her past, and concentrate on her future. She has a home, a job that she's good at, and great friends... what else could she want? ARSF Cammy comes from the game "Cannon Spike" (aka "Gunspike" in Japan). Cammy's 21 years old in this game, and she leads the Anti-Robot Special Forces (aka ARSF) against robotic terrorists. Exactly how she got to from Delta Red to ARSF isn't really clear. I suspect that Cammy's still a member of the English Secret Service, but that she's 'on loan' for this mission. Anyhow, her hand-to-hand fighting skills can't do it alone against robots, so ARSF Cammy wears rocket skates and carries 2 submachine guns, a pistol, grenades, and a knife to help her take out all the robot bad guys. Although it's a tough job, ARSF Cammy seems to be at peace with herself. Now that her mind is cleared up, the sky is the limit for Cammy. I wonder what'll happen in the next chapter of Cammy's life? Will the mysteries of Cammy's past come back to haunt her? Will she continue along her present path? There are SO many possibilities... it'll be exciting to see!! Well, that's your intro to Cammy! I hope I've piqued your interest. Although that was a lot of information, believe it or not, that was actually an extremely short summary! Cammy's much more complicated than that. That was the 'official' Cammy profile and storyline, but there are a lot of comics, cartoons, novels, games, and other things in which details are different. Those differences can make things interesting, but at the same time, it adds to the confusion. By making this little Cammy lesson, I hoped to introduce Cammy to new fans, and to clear up the confusion (without going into too many details) current fans might have.